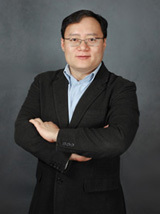 Joseph Chen is the founder of our company. Mr. Chen has served as the chairman of our board of directors and chief executive officer of our company since our inception. Mr. Chen is a pioneer of China's internet industry. Before founding our company, Mr. Chen was the co-founder, chairman and chief executive officer of ChinaRen.com, a first-generation SNS in China and one of China's most visited websites in 1999. 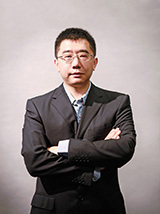 He served as senior vice president of Sohu.com after ChinaRen.com was acquired by Sohu in 2000. Mr. Chen holds a bachelor's degree in physics from the University of Delaware, a master's degree in engineering from the Massachusetts Institute of Technology, and a M.B.A. degree from Stanford University. James Jian Liu has served as our company's executive director since January 2008 and chief operating officer since February 2006. Before joining our company, he was the co-founder and chief executive officer of UUMe.com, one of the earliest social networking service websites in China. He served as product management director at Fortinet in its early years and held a senior product manager role at Siebel Systems. Mr. Liu started his career as a management consultant with the Boston Consulting Group in China. Mr. Liu holds a bachelor's degree in computer science from Shanghai Jiao Tong University and a M.B.A. degree from Stanford University, where he was an Arjay Miller Scholar. Thomas Jintao Ren has served as chief financial officer for our company since September 30, 2015. Prior to rejoining Renren, Mr. Ren was the chief financial officer at Chukong Technologies. Mr. Ren was previously at Renren between 2005 and 2013, where he served as our senior finance director. Prior to that, Mr. Ren had worked at KPMG for five years. Mr. Ren holds a bachelor's degree in economics from Renmin University of China. He is a certified public accountant in China and the United States, and a chartered professional accountant in Canada. 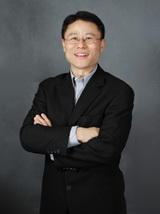 He Li has served as vice president of our company since 2014 and is now in charge of product and engineering. 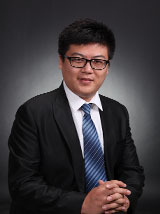 Mr. Li joined our company in 2011 and has since held various positions in research and development. Mr. Li received a bachelor’s degree in Computer Science and a master’s degree in Software Science Theory from Peking University. Rita Yi has served as a vice president for our company in charge of human resources since October 2016. Prior to joining our company, Ms. Yi served as the human resource Sr. director of RealNetworks; was senior HR Manager, in charge of HR business partner management work cover both Greater China Region and Asia South Region; her Human Resource management experience also gained from ING Capital Life Insurance Company, General Electronic, and Northern Telecom. Ms. Yi graduated from Beijing The Second Foreign Language Institute, received a bachelor's degree in Tourism Economy, and received a M.B.A. degree from McMaster University, Canada in 2001. Michael McGowan has served as a vice president of sales for Chime Technologies since March 2019. Chime is a subsidiary of Renren Inc. Prior to joining Chime, as Vice President of Sales for CINC, McGowan successfully led a team of inside sales representatives along with enterprise field representatives to an average of 30% sales growth year over year. As a former United States Marine Corps veteran, McGowan also boasts an impressive career in the financial services industry, with extensive experience in SaaS sales.